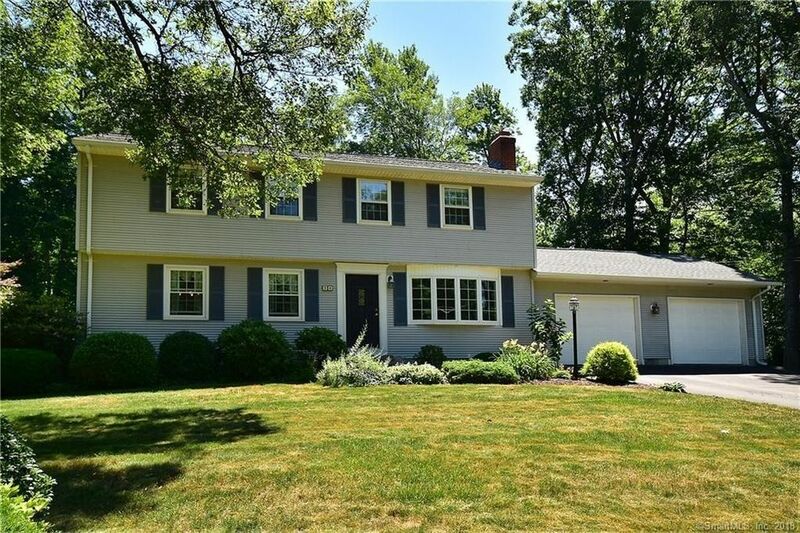 Fabulous and spacious, this custom colonial featuring an impressive great room toward the rear of the house overlooking the super private lush back yard with access to the deck. A perfect place for entertaining as it is open to the remodeled kitchen with breakfast bar, granite cabinets, solid maple cabinets and new white appliances. Other rooms on the first floor include a formal living room with fireplace, formal dining room, and adjoining office that could also be used as a first floor bedroom. The first floor full bath also has a jetted tub to relax in. Central air is ducted throughout the first floor too! Upstairs you will find 3 generously sized bedrooms with a supersized bathroom too! Roof is 2 years new! Come take a look at this immaculate home in the popular Merline Road area!